"When I am with you, why does he leave me out for dakshina? Kaka whispered in reply, "Ask the question to Baba himself." Suddenly, Baba asked Kaka, "What, what is he saying to you?" Baba said, " You did not wish to give, so I did not ask you. Now if you wish to give, then.give it." "There was once a fickle-minded man, whose house was full of wealth, food grains etc." Physically, mentally, he had no illness, no afflictions. But he liked to court trouble. " "Needlessly, he wandered about, carrying a heavy burden on his head. His mind knew no peace. One moment he would put down the load, only to pick it up the next moment. He could not steady his mind." "Seeing his plight, my heart was moved by compassion and I said to him, "steady your mind and fix it on one thing - whatever that may be." Whichever path one wants to follow, he will guide him along that same path. 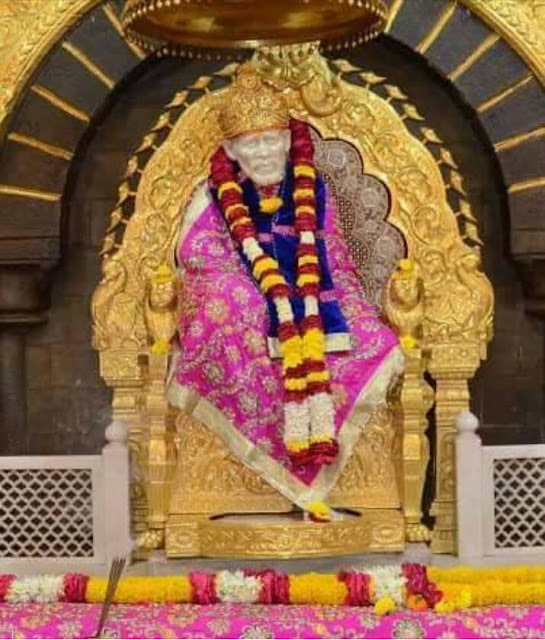 Sai knows the capacity of each and accordingly, they are given spiritual guidance by him." Chapter - 35 Shri Sai Satcharita.